On Wednesday, I had the opportunity to travel to Kiel for the first time, with all of my classmates on a school excursion. The journey south took 1 and a half hours by train, from the Flensburg Bahnhof to the Kiel Hauptbahnhof. Kiel is the capital city of Schleswig-Holstein and has a population of around 250,000 people, making it a similar sized city to Canberra. Similar to Flensburg, Kiel has its very own harbour and is a shipping city with a big naval base. The harbour however, is much larger and deeper than the harbour in Flensburg, making it possible for very large naval ships and big cruise liners to dock there. It is even possible to travel by ship to both Norway and Sweden from Kiel. Upon arriving in Kiel, we caught the bus to the Muthesius Kunsthochschule, or so we thought. It turns out we had arrived at the old school campus which is now vacant. After yet another bus ride, we finally arrived at the new campus which was much larger and more modern, although we did end up being a little late. The Muthesius Kunsthochschule is a university of the arts. Here one may study an array of courses, covering a number of different artistic mediums and qualifications. It was an open day at the university, so the whole campus was wide open for all to see. The university had a wide variety of different rooms located throughout the campus, including photography studios and darkrooms, wood and metal workshops, ceramics studios, art installations, and computer related arts including book publishing and graphic design. At the Goethe Schule, I am enrolled in the Kunst or Art profile, which means that I attend art classes as one of my main subjects. There are a few different sets of profiles available, which German students can choose to enrol in for years 11 and 12. Some of these include a focus on science, languages, and geography. This excursion to Kiel was aimed at my classmates, who are currently considering life beyond school. Some may be interested in pursuing an artistic career, and therefore my school organised this excursion for their benefit. 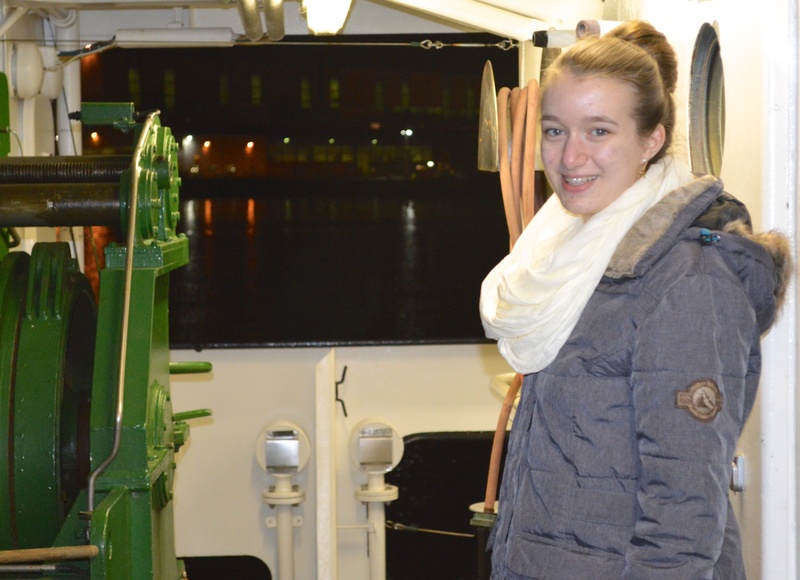 On Friday evening, I visited Kiel with my host family for the second time in one week. We travelled by car, and the duration of our journey was only one hour. However this is not surprising when you’re travelling at an average speed of 120km/h on the Autobahn. We attended a corporate event together, which my host father was invited to as he is involved in media and website marketing and development. There was an abundance of delicious foods available, and I was very full by the end of the evening! From the top floor of the event centre, I witnessed a fantastic view of Kiel by night. There were big ships in the harbour and lots of sparkling lights, but it sure was cold and windy outside! From my two short day-trips so far, I can gather that Kiel is yet another beautiful German city with plenty more to explore. I am thankful to have had the opportunity to travel there twice in one week in the company of both my wonderful host family and my lively German classmates.